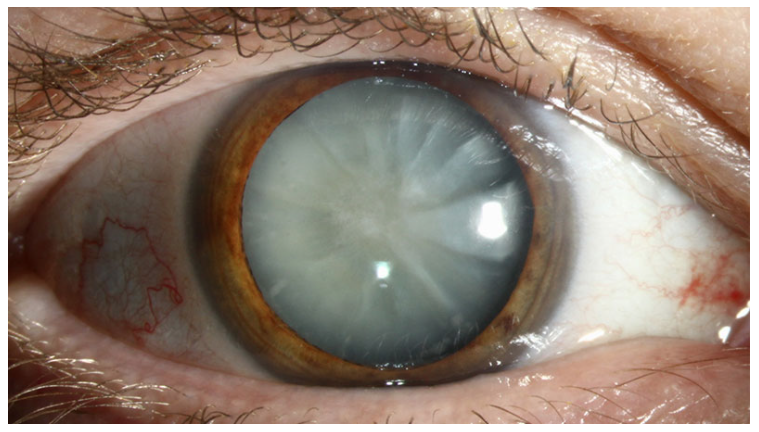 Cataracts develop when the natural lens in the eye becomes cloudy. This change is associated with ageing and initially results in the eye becoming more short sighted (myopic) and later the vision becomes cloudy. The decision to operate depends on how much the cloudiness impacts on the patient’s quality of life, which is different for each person. The surgery is perfomed through two tiny incisions of 2.2 and 1.5 mm. The lens is fragmented using an ultrasonic probe and then aspirated from eye. The natural cloudy lens is removed except for the thin capsule around the back of the lens, which is left in place. This supports the new artificial lens, which is folded and placed carefully in the eye. As well as removing the natural lens safely, it is important to use the optimum lens for each patient. For this, it is important to have the most accurate measurements available. Measurement techniques have evolved over the years and Mr Modi uses the most up to date Lenstar 'biometry' and formulae to allow optimal lens selection and placement. What is the difference between different types of lens? The choice of lens is also important and a number of lenses are now available. These have various properties but the main distinction is between the monodical lens and the multifocal lens. Monfocal lenses have a set focal distance and usually they are set to allow focus for distance and reading glasses are used for near vision. They are usually free from haloes and glare and give an excellent quality of vision. Multifocal lenses have different zones with different focal lengths. The modern trifocal lenses allow clear vision as near, middle and long distance. These allow a greater freedom from glasses. If a monofocal lens is used, there is also the option of having 'mono vision.' Here, one eye is set to the far distance whereas the other is focussed for near vision. The is usually well tolerated and avoid possible risk of haloes and glare around lights. Mr Modi will discuss the surgery and lens choice with you in detail prior to the operation and will be happy to answer all your questions. Most cataracts surgery is performed under local anaesthetic but in certain cases, general anaesthetic may be preferable. Mr Modi performs his surgery using a no-needle technique, most commonly using eye drops alone (topical anaesthetic). This allows for a quicker recovery and less redness of the eye postoperatively. You will wear an eye shield over the eye, which is transparent and is attached with tape. This can be removed the following day but must be worn overnight for around 2 weeks to prevent any accidental damage to the eye. Two to three sets of eyedrops are prescribed around 4 times a day although this may vary depending on any associated conditions for example in patients with diabetes, an anti-inflammatory drops may also be used. Review will be arranged depending on the case but you will be instructed about this after the operation. Cataract surgery is performed in a special ophthalmic operating theatre with a microscope to allow absolute precision.